For the days that fly by too fast to count, every hour is midnight. Every time is late, and every night is closing in. In the morning, we picked up Jamie and Susan from the airport, getting up so early that it was as if we had almost traveled halfway across the world ourselves. The day was a mixture of welcomes and food, and tea, and naps, and short excursions around Edinburgh. 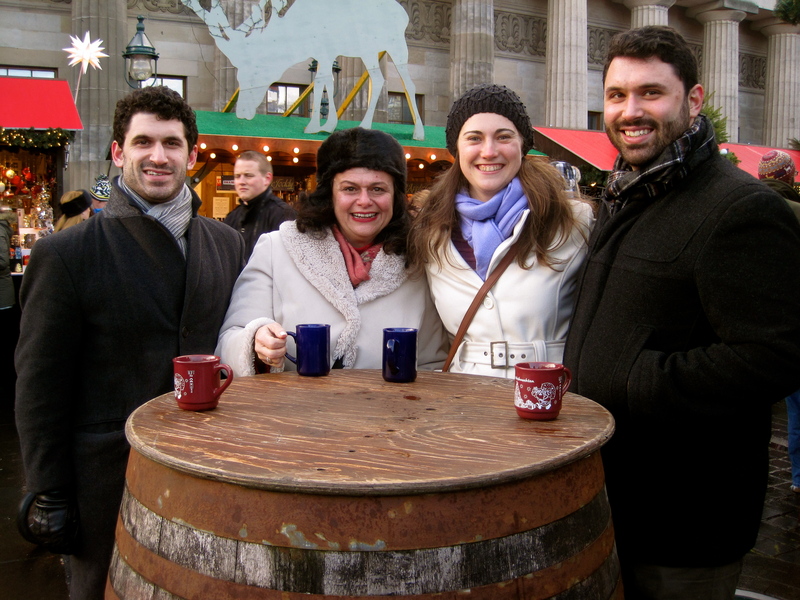 We went to the German Christmas Market, we took a walking tour of the neighbourhood. In the afternoon, I wrote out Christmas cards and went to rehearsal. At the service, there were so many poems or readings about light and darkness. Not in a sin and salvation kind of way, but in a reflection about the significance of light, about the role of darkness. They read this piece by T.S. Eliot and I fell in love with it on first listen. I can’t believe I’ve never heard it before. I have so much to be thankful for. Even with a sore back, this Christmas season is feeling so fulfilling. I hope you feel better soon, and in the meantime, I hope you feel rested and supported.